You may be familiar with register tape advertising as a method of coupon distribution, but have you considered it as a powerful branding tool? 800,000 personalized messages are distributed over the course of the average campaign. Every person who shops at your selected grocery store, Dollar General, or Family Dollar store is physically handed a receipt, and this receipt can be printed with your name and—most importantly—feature the faces behind your agency. Repetition – Most marketers agree that a message much reach a consumer a minimum of seven times before they are likely to react. Receipts are given to every consumer after they make a purchase, and over the course of a few weeks, or even months, every message distributed to the same consumer makes them more likely to respond. New Movers – Grocery stores, Family Dollar, and Dollar General Stores are the places new movers are most likely to visit following their move. They are almost guaranteed to purchase essential items within 48 hours of their move, and beyond these items, new movers are also looking for new service providers. Your exclusive message will give you the edge over your competition. 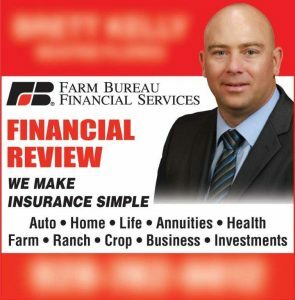 Visibility – The most visible Insurance Agent is also the most successful. Your custom ad and picture distributed 800,000 times or more over the course of your campaign provides you with incredible visibility. This visibility will lead to familiarity in your community, which ultimately leads to trust and more clients. Intrinsic Value – Register Tape Network makes receipts valuable by including offers from other businesses, restaurants, and service providers in your community. These offers, paired with your advertisement, mean that more people will hold on to their receipts. Instead of simply throwing them away, customers will keep your message in their wallets and on their fridge. Exclusivity – As an agent, naturally you have competition. Register Tape Network addresses this problem by featuring only ONE insurance agent at every distribution point, providing you with an edge over your competition. Looking to infiltrate a competitor’s market? We can distribute your coupon advertisement in places where you want to grow your coverage base. Ready to begin distributing your custom branded messages to 1000s of people seeking insurance in your community? Contact us today for your free consultation.